You can capture a screenshot by simultaneously pressing the Home key and the Power/Lock key on your device until a white border flashes around the edges of the screen. 3. 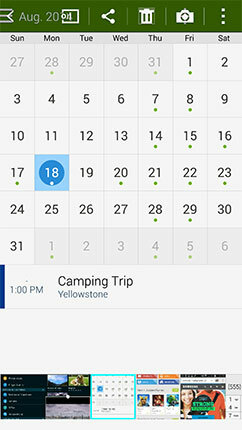 Scroll down and touch Motions and gestures under DEVICE. 4. Touch Palm swipe to capture. 5. Touch the slider to turn Palm swipe to capture on . 6. Capture a screenshot by touching the screen with the side of your hand and swiping across from left to right, or vice versa. Using Air Command™ and your S Pen, you can capture screenshots, add notes or drawings, and save or share the screenshot. 1. Open Air Command by holding the S Pen about a quarter-inch above the device's screen. 2. Press and hold the button on your S Pen to open the Air Command panel. 3. Touch Screen write with your S Pen. 4. 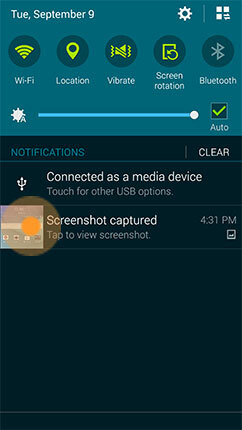 Once the screenshot has been captured, you can use the toolbar at the top of the screen to make edits. 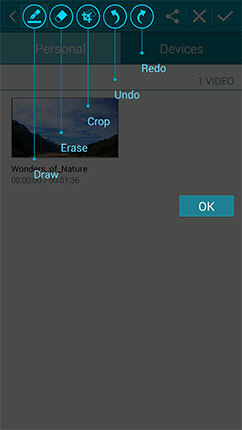 Touch the icons to access the Draw, Erase, or Crop tools, and touch them again to view the settings for each tool. 5. 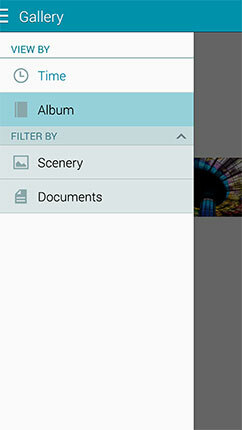 Touch to save notes or edits to the Gallery > Screenshots folder. Touch to share the screenshot using one of the available options. Sharing options vary based on applications installed and features turned on. 3. Touch S Pen . 4. Touch Air command and touch the slider to turn Air Command on . 2. Touch Screenshot captured to open the screenshot. 3. 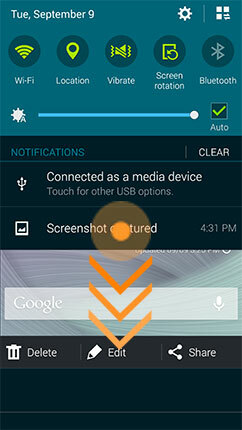 You can also quickly Delete, Edit, or Share the screenshot from the Notification Panel. If necessary, swipe down on Screenshot captured to access these options. 3. Touch and select Album. 1. In the Screenshots album, touch the desired screenshot. • Change player: View the screenshot on a nearby compatible DLNA® enabled device. • Share via: Share the screenshot using one of the available options. Sharing options vary based on applications installed and features turned on. • Edit: Edit the screenshot. 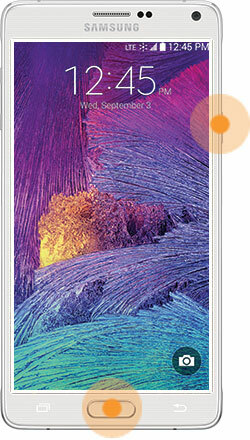 • More info: View technical information about the screenshot, such as its size. • Screen write: Add notes or drawings to the screenshot. Touch the toolbar icons to access the Draw, Erase, or Crop tools, and touch them again to view the settings for each tool. • Rename: Rename the screenshot. • Add tag: Create tags for your screenshot. When using the Gallery Search feature, you can touch the tag name to display all screenshots with that tag. • Studio: Edit the screenshot with Photo studio or Video clip studio. • Set as: Set the screenshot as a Contact photo, Home screen wallpaper, Lock screen wallpaper, or Home and lock screens wallpaper. NOTE: Additional options may be available on your device. • Print: Print the screenshot to an available printer using a wireless network, Wi-Fi Direct®, or a USB cable. • Settings: View and edit Gallery settings. View accounts available for syncing with the Gallery, and select when syncing should occur. Turn on Tag buddy or Face tag.